This Walking Holiday explores the eighth and final section of the Camino Frances / French Way, the most traditional of all the pilgrims' ways to Santiago de Compostela and the best known internationally. 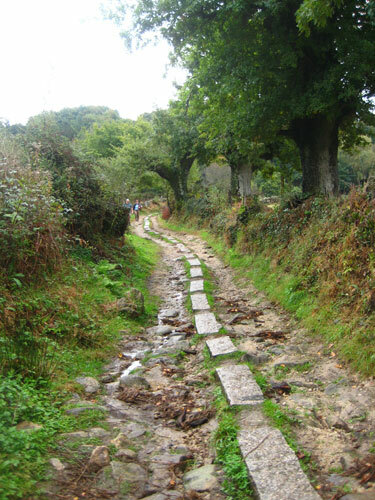 The route begins in Sarria and finishes in Santiago de Compostela. Traverse the hilly landscapes of Galicia, certainly some of the most beautiful of all the caminos. 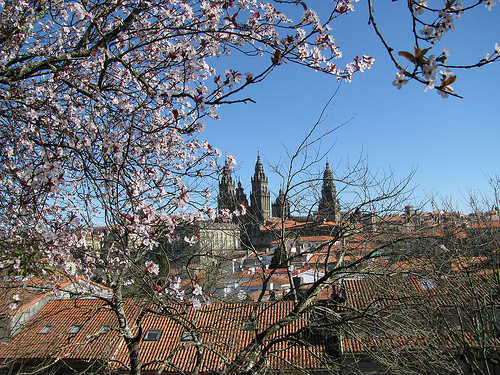 Reward your efforts in Santiago de Compostela, the heart and hub of all pilgrimages on the Way of St. James. You will be booked in a hotel in the heart of the lively town of Sarria. The rooms are en-suite. Expect a peaceful walk in shady oak woods, pretty villages and on quiet country roads. The village of Barbedelo (580m) has a beautiful Romanesque church that is worth a visit. The next significant village is Ferreiros. When you arrive in Portomarin (550m), you can chill out on one of the numerous terraces of the main plaza. 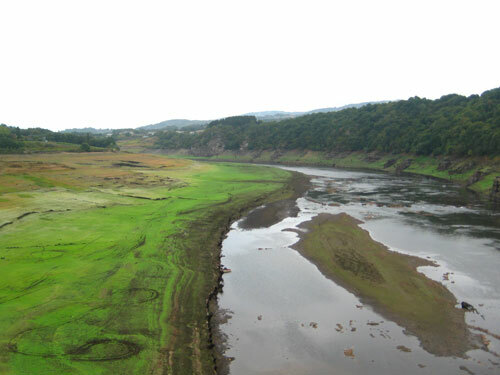 From the village, the Camino crosses the river Minho and climbs steadily uphill. On your way, you will be crossing Gonzar and passing the Romanesque Church of Santa María, Castromaior. The calm of the Galician Cemetery in Ligonde on a sunny day is a rest in itself. In Eirexe, the Romanesque portal of the church is a beauty and features a sculpture of Daniel and animals, as well as Santiago de Peregrino inside. You will then arrive in Palace do Rei (565m). Today, the Camino continues slightly downhill, passing the village of Casanova and the charming village of Leboreiro. At Melide (454m), stop in one of the many restaurants to try some local specialties. 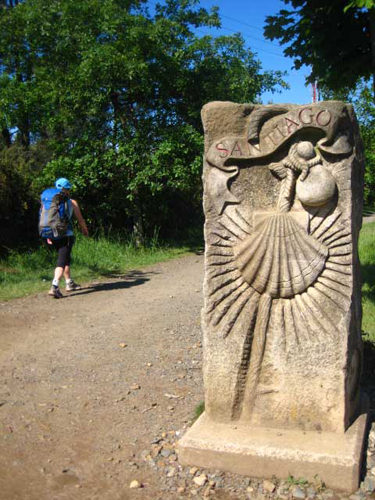 Later today, the Camino will follow a forest track and cross several streams bringing you to the village of Boente with its church of Santiago. Then the medieval village of Ribadiso, and finally Arzùa (389m). This small town has 2 churches that you can visit, Santa María and La Magdalena. You are nearly there! The next stage will be Lavacolla where pilgrims traditionally washed in the river before reaching Santiago de Compostela. The tall eucalyptus trees line your way to Monte del Gozo (368m). From the "Mount of Joy" you can see your goal - the Cathedral of Santiago! After a descent to the city (264m, population 80000) you will be able to witness this UNESCO World Heritage Site up-close. Marvel at the architeture and relish the wonderful atmosphere in this cultural and spiritual mecca. After breakfast we bid you farewell. If you wish to stay in the area, we recommend you the magnificent historic centre. Or you can visit the unspoiled sandy coves and beaches of the west coast. With very few tourists, you are guaranteed a very special experience. Luggage transportation: Luggage will be transported from hotel to hotel. The baggage allowance is one item (maximum 15 kg) per person. If you need to add more bags please contact us in advance. 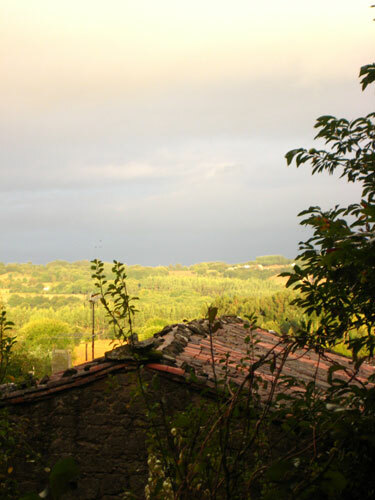 ♦ On Day 4 if you wish to take your time, we can split this walking day in 2 (15km & 13km), staying overnight in the bustling market town of Melide. Here you will stay in a charming 2* hotel in front of the "Refugio de Peligrino", in the centre of the town. 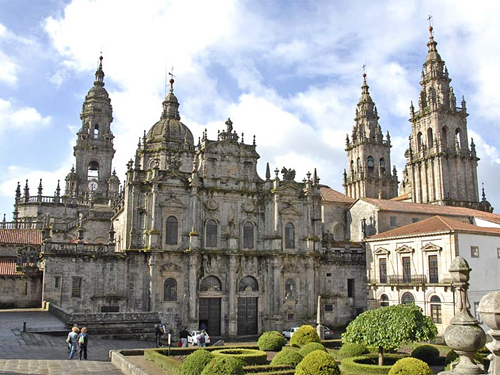 ♦ Fly in and out – It is best to fly to Santiago de Compostela. To / from Santiago you can fly with with Ryanair, Iberia and Aer Lingus. As well as there are internal connections with Iberia from: Frankfurt, Paris, Rome, Barcelona, Bilbao, Fuerteventura, Gran Canaria, Lanzarote, Madrid, Malaga, Palma, Seville, Tenerife and Valencia. 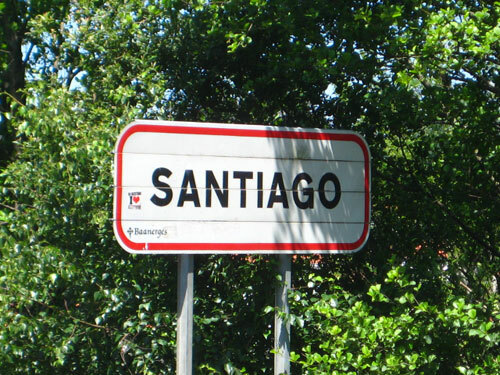 ♦ Getting there – There are two options to travel from Santiago to Sarria. The first one is by a direct bus, which departs from the Santiago Bus station (20mins from Santiago airport), the journey is 3 hours, and is available from Mon to Fri at 6 pm only. See the timetable www.monbus.es and check "Horarios" on the left. The second option is first to take a bus from Santiago airport to Lugo (Timetable : 16h10, 18h40- 1.45 hours journey, www.empresafreire.com) and then another bus from Lugo to Sarria – the journey is 30 minutes, there are many buses a day, even until late hours. See timetable: www.monbus.es (look for "Horarios" on the left). ♦ Getting back – From Santiago city center to the airport you can go by shuttle buses, which is 20 minutes journey. extra nights in Sarria / Santiago: on request.